Xperia X10 Root instructions released! Okay, the time has come. 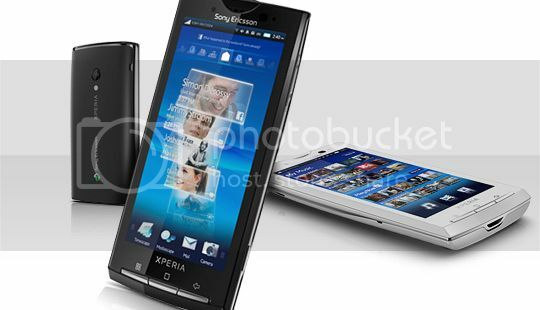 The wizards over at xda-developers have publically released the instructions on how to root the Sony Ericsson Xperia X10. The process appears to be simple enough and hopefully it will be a brick-free process too. A big thanks to Jerpelea, biktor_gj and Bin4ry over at xda-developers for first obtaining root and secondly providing a method that everyone can use. Once you root your phone, please head over to the xda-developers and make a donation to these guys. It’s the least they deserve for cracking a phone that many thought may be impenetrable. You can check out the full Xperia X10 Root guide here. Many thanks to Bin4ry, Jerpelea and Biktor_gj. Are you gonna guys make a guide with pictures and stuff? I can’t seem to get it working under win7 x64…. @jackson – We will do at some point, although only once we can do it justice. In the meantime, if you have any questions just head over to xda-developers. @jackson Try to reinstall java. In win 7 x64 everything work fine for me. ‘java’ is not recognised as an internal or external command, operable program or batch file. I also have win 7 x64. Hey I have a original xperia x10a, not debranded or anything. So do i have to debrand it first to root? Also any xperia x10a users debrand their Xperias out there? @obasan I have the same question.. I have a Rogers Xperia, can I root it without having to do anything else first? I would wait a few more days or even a week cause on xda they found bugs and glitches with the root. Also I guess it would be best to root it when some android or HTC roms come out. Then go to (for windows 7 btw) Control panel > system and security > system (or basically just right click the computer (or my computer) icon and properties) then go to advanced system settings on the left side. This is related to all the Xperia X10 models, including the X10a ? Thanks ! Hey guys, what does Root mean in the Smart Phone World. I love any tricks to make my X10 faster and smarter. Appreciate your advice. Sorry if it’s a dumb question. Can someone explain to some noob guys like I am, what will I obtain rooting my X10i?!? Will I be able to install Android 2.2 and to keep all my apps, including the SE apps like the camera and timescape/mediascape?!? First the fact that we have reached the root does not mean that we can be installed Android 2.2. We wait to somebody make a bootloader. I wanted to ask the same question – now that I have root why can’t i install 2.2? I saw someone put update.zip in the SD card, press back button + restart and it installed the update – can’t we do that with 2.2? Error with flashing in step 1. Cannot run USBFlash.dll 32 bit in a 64 bit java environment. I am a complete noob looking to buy x10 mini pro, can I ask what rooting actually is, what does it do, what are the pros & cons? thanks & sorry if I sound a biff! i have a xperia x10 i which i bought in india . If i root it will my Sony Ericsson warranty for my phone expire ? what are the pros and cons of rooting the phone ? I also have xperia x10a store bought from AT&T. For those noob guys, like me, asking questions about rooting, i found this website helpful “http://www.androidcentral.com/rooting-it-me-some-qa” without quotes. BTW, i have x10a and i saw the guide and it states that this rooting process will convert x10i to x10a. I’m still confused. I just debranded my phone and now i’m up to rooting. can anyone help me on this one? and please send me e-mail which files to download because there’s a lot of links on the guide that got me confused. the only thing i cud follow is the steps… sorry if i’m being way “noober” than the rest of you guys. Just wondering, after rooting will the camera and (Timescape and Mediascape) and other apps still work?